Cinema Cafe in Virginia Beach let me know that they are doing another sensory friendly show this Saturday at 10:30 am at the Pembroke location. The Crood's family's motto is "Never Not Be Afraid." When their cave is destroyed, they've got to set out for something new. I think this is a great lesson for kids and can provide some great teaching moments after the movie. Sensory Friendly Shows at Cinema Cafe mean that the lights are up, the sound is down, to offer a judgment-free space to enjoy the movies. And one comment that contributes to the conversation of a past post. (Scroll down to find past posts or you can look through the blog categories). We'll send the winner an email on Thursday (June 7th) at 8pm. The winner will need to respond by 10pm Thursday evening to claim the tickets. The tickets will be left in the winner's name at the box office. 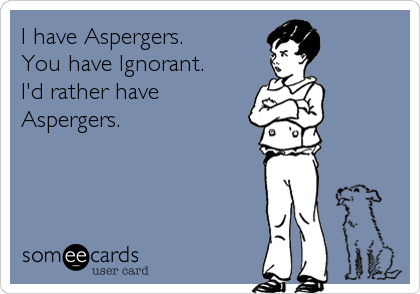 Parenting a child with ADHD, Asperger's, or Autism is... well, it's complicated. You've researched every technique and opinion. You've tried everything every relative, teacher, doctor, and therapist have suggested. Last week, I came across this infographic, called The Success Indicator by MaryEllen Tribby. It's based on a the business principle of Transformational vs. Transactional Leadership Styles. I realized immediately that this applies also to the type of therapist I am, as well as parenting. Are you a Transformational Parent or a Transactional Parent? Are you a Transformational or Transactional Parent? Transactional leaders, according to the leadership theory, tend to focus on setting goals, offering rewards, establishing punishments, consequences, dealing with present situations. They are reactionary and surprised by crisis. Transformational leaders seek to inspire others, to challenge them to learn more, and to find ways to help them enjoy the process. They use "transactions" when necessary, for example, they pay their employees for working; however, transactions take second place to who people are and what is important to them. As parents, (and bosses, too!) it is so easy to focus on transactions. Do your chores, and you can go out and play. Finish your homework and you can watch TV. Argue with Mom or Dad and you will lose video game privileges. Don't get me wrong, it's important to set boundaries and consequences, but they make a weak backbone for parenting. Transformational parenting, like transformational leadership, is harder. It takes having purpose and vision for your children. It means being deliberate, not perfect. It means admitting your mistakes and apologizing. It means being proactive about parenting. It means trying to understand who you children are and what excites them. Because, what excites them is what will motivate them. Ok, Nikki, the only thing my kids are excited about is video and computer games. I've already tried that. Fail. Right. You've tried on a transactional level. You've tried rewarding them by offering video games or punishing by taking them away. But what about on a deeper level? Do you know why your kids are so intrigued by video games? Because they are challenging, they offer periodic rewards, and they are intense. How often is homework challenging, rewarding or intense? No wonder kids don't want to do it. So, apart from changing schools, homeschooling or blowing up your kid's teacher's email box, what can you do about it? Find ways to make it fun. If your kids like video games, try to incorporate technology. Use whatever technology you have available to teach the things they are trying to learn. There are iPad, iPhone, and Droid apps for every part of education and learning. Here is a link to reviews for some of the best apps that teach multiplication. Try educational websites on your home computer or at the local library. Do whatever you need to do to engage your kids so that learning is exciting. What does being a Transformational Parent look like? I usually like lists and tips... but I'm hesitant to give one now, because I don't want to give you the impression that you "should" be doing all of these things right now. That you're only a "good" parent if you're doing all of these things all of the time. That's just not true. Use the infographic as a guidepost, thinking about the information in terms of parenting. Remember that you do need some transactional exchanges, so, don't be hard on yourself if you find you sometimes do things on that list as well. Many parents have additional challenges as well, whether that is raising a special needs child, or coming from an abusive background themselves, being a single parent, having a military spouse who is deployed, etc. Take these things into account, and cut yourself some slack, it's more important to be a parent that is growing toward "transformational" than a parent who is stuck in "transactional". Seek ways to get their children to behave by offering more "stuff"
"After so many years, you've tried so many things that you're just skeptical of the new miracle therapy." Yep, you've tried everything. I get it. You know what? I bet along the way you've probably picked up some good nuggets that have made you a better parent. My motto for working with parents is "Try everything, do what works." If I suggest something that doesn't fit with your child, your parenting approach, your household, see if you can tweak to fit you, instead of just throwing it out. Not everything people suggest to me works for my life either, but usually there is a way to filter it through my own way of seeing things and making it work for me. This proactive approach to parenting is about principles, not about giving you a to do list. What have you tried? What's worked? What hasn't? It would make my day if you left a comment. Nikki Schwartz is a Licensed Professional Counselor at Oaktree Counseling and focuses on using neurofeedback, play, and talk therapies to provide practical, effective counseling to families and clients. You can find her on Pinterest, Twitter, and Google+. Besides clothing, food, and shelter, what do your kids need? What I wish I had known before I had kids.